Dawn of the Planet of the Apes was one of the films I knew I had to watch because of raving reviews on the Internet and from friends. I personally have not kept up with the Planet of the Apes franchise; I’ve had reservations about the emotional side of seeing humans and apes collide. I thought it would be some kind of convoluted animal abuse plot line and didn’t care to spend money on something that would upset me. Despite this, I plucked up the courage and decided to give the movie a chance. I am truly happy that I did. 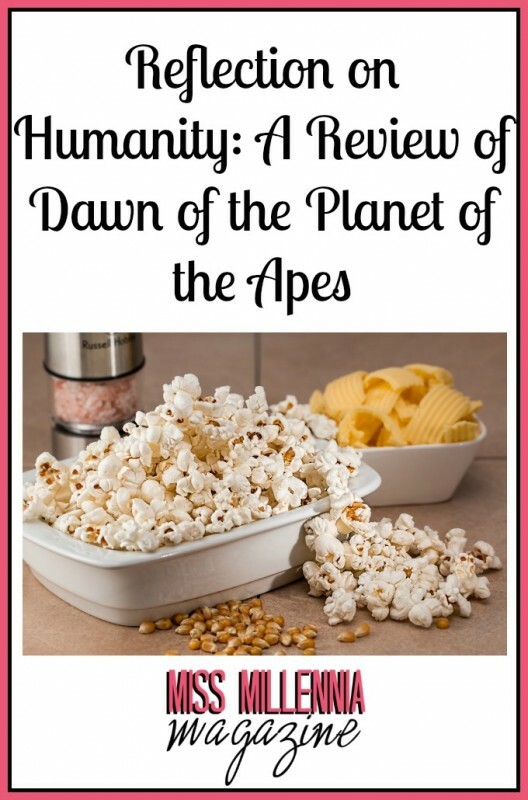 I was engrossed from the start as the film chronicled through the history of civilization and genetically-engineered apes, and felt up to speed even though I had missed the previous films. 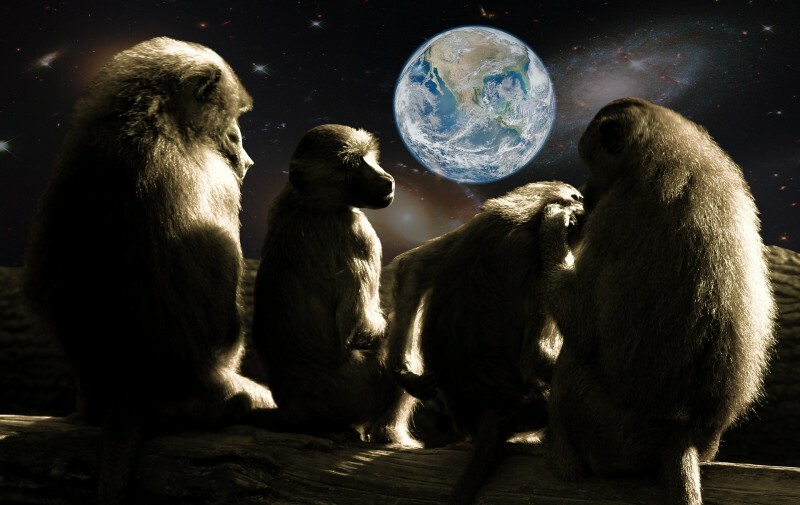 What intrigued me most was the organization of the ape colony with its main patriarch, Caesar. His peers looked to him for all crucial decision-making in which he executed fair and sound judgment by confiding in his colony rather than making instinctive choices. As a result, Caesar was able to have a firm control on his people and with their respect and loyalty to prevent a rebellious uproar. The surviving human colony, however, served as a stark contrast against the unified ape society with multiple voices fighting to be heard. Although there was one key figure, his power wasn’t as influential and he struggled many times to get his people to listen. These contradictory communities formed a central conflict, escalating into a head to head fight. In larger terms, though, they represent the different organizations of society and give us something to ponder about. How much power should be given to authority, and how do we balance obedience and civil disagreement? Aesthetically, the film was pleasing and amazing that all apes involved were created with CGI. The action sequences were suspenseful and captivating, indeed nerve-racking. Despite all I expected from an ape vs. human film, I could not easily predict what was going to happen next. I particularly enjoy that nothing was one-sided; there were good and bad players in both communities, so it was up to the audience to contemplate whose team they were on and which was morally correct. In regards to feminine involvement, the one large female character is the resident nurse and protagonist love interest (of course). The film fails the Bechdel test, which requires that at least two named women characters to talk to each other about something other than a man. In the film, the female character had virtually no other female comrade to share a conversation with, and most of her involvement included helping with the ape situation. The film provides the audience insight on how to interact with different groups of people and more specifically teaches us to be open-minded and accepting of different practices. A unique perspective it offered was to not only trust what you know but be vigilant in learning the intentions of the opposing side to ultimately further one’s own knowledge and understanding. Planet of the Apes was emotional and philosophically rewarding film to watch, and I felt truly enlightened walking out of the theater. Read Rotten Tomatoes’ reviews to make your own judgments before watching, or if you have already commented below on your thoughts! Read more of my movie reviews, such as last week’s review of Lucy, here at missmillmag.com!